Hello there ladies, I've got some great news for all of you, as it looks like we have a major comeback in 2018. 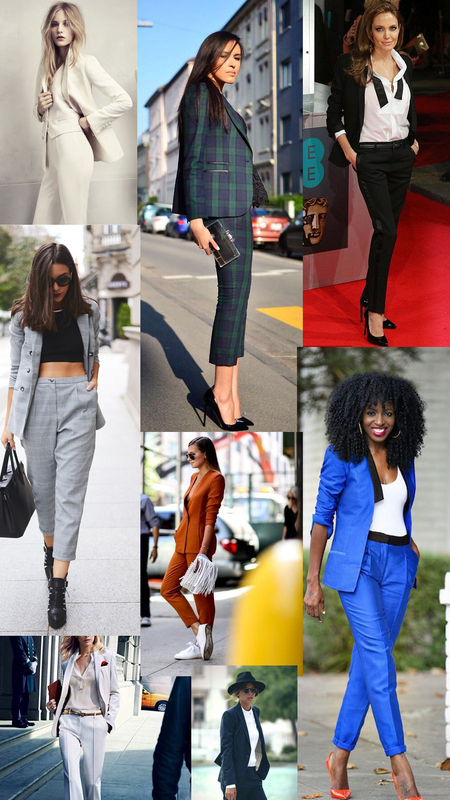 Many brands offering us amazing women's pant suits that are ideal for work, special occasions, parties, formal events, etc. You are going to find here 1970's inspired suits with high-waisted, wide-leg pants, statement blazers with broad shoulders and crispy white shirts/ silk blouses. You can always go bold and try on black tuxedos with nothing else underneath. It looks like classics are hitting back, as I see lots of printed designs which are reminiscent of the 1950's and 1960's. The classic ones are perfect for work, offices, professional and business meetings. 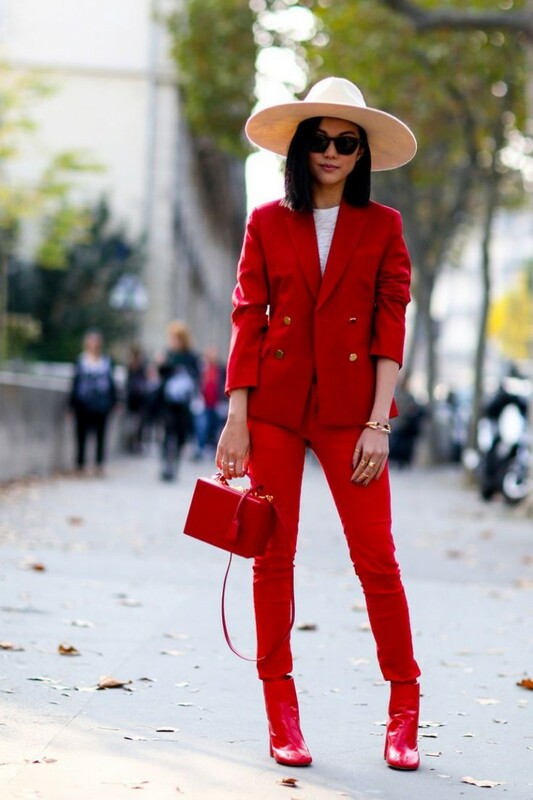 But what is new about pantsuit this 2018? I guess, there are no major changes in this look. It's a versatile outfit what is perfect for all seasons and it's extremely versatile for balancing your professional look, by keeping you look polished and sophisticated. Speaking of silhouettes, cuts and designs, then I know thousands of them, but we are here to show you the most appropriate ones, which are awesome to wear from work to parties. So, there are 1970's inspired pieces (wide-leg trousers), tuxedo like creations with V-plunging necklines, skinny trouser suits, as well as jacquard and vibrant 1960's inspired ones, plus there are cool boyfriend looking designs. I love bold color creation. Choose the red one and keep it cool with blush accessories and statement heels. There are amazing sporty look designs that can be teamed with simple, athletic inspired tees. Don't forget about Dandy and menswear inspired looks that are great for showing off your individuality. Before buying yourself a new suit for 2015, you should remember couple of things, like go for the ones made of great fabrics and always find the perfect fit, no matter if it has a boyfriend or skinny look. If you want to know the ways of wearing this sophisticated look, then I advice you to think over your style, before making any forward moves. Go for a great coat (faux fur, overcoat) to throw on your shoulders by making a modern 70's take on. Think of accessories, I mean try on big bags, spacious clutches and statement jewelries. The most important thing is the footwear. Go for the comfort ones, as you can try on flats to look more mannish. Keep it statement and choose the bright blue outfit. 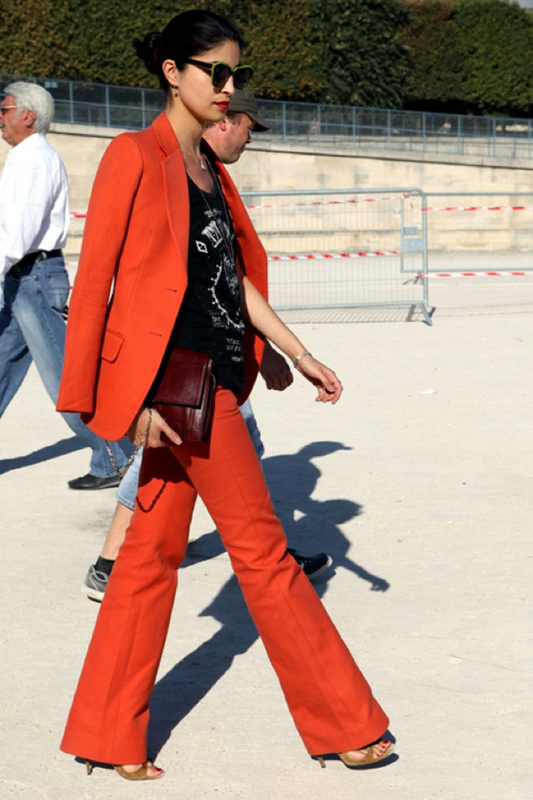 Go for the wide-leg floor-length trousers, structured blazer and white shirt tucked in pants. 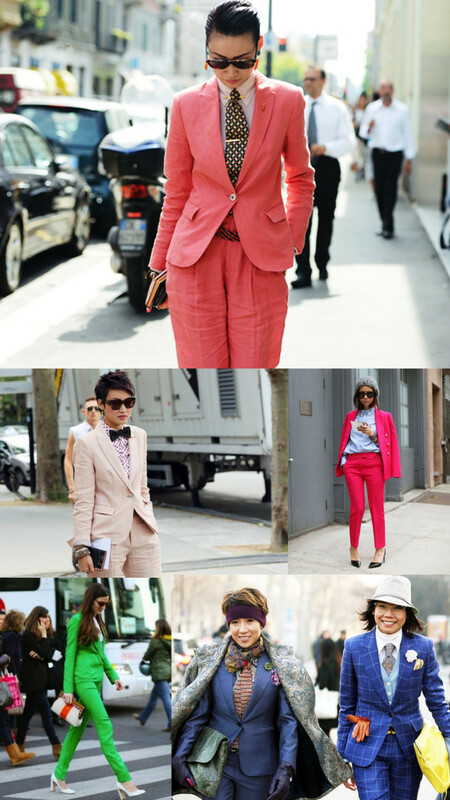 What you think of pantsuits? Do you have your own style and look that is great for various occasions wear? Please let me know. Nothing to Wear? Here Are New Outfit Combinations! I recently got a job where pant suits/blazers are a necessity. I am finding my wardrobe so boring with th same plain tshirt under each suit. All of your pictures show the same…. White, black, cream, gray….. Is it okay to keep wearing the same over and over and over or can i wear a blouse with a print underneath or even a blouse with some color? Regarding your question, well, I know that sometimes it can be quite boring to wear the same black, white or grey shirts. It’s very important to know your work’s dress code. If your colleagues dress all the same, then it would be weird to see you in a kind of bright print one day. All you can do is to make a nice nail design or use some jewelry , like earrings or bracelets. It your work dress code is less formal, then I would suggest you to try on ladylike neckpiece atop your white shirt, or you can try on brighter shades or pastel color shirts instead basic colors. Hope these tips will work for you.